Winter is here and with the extreme cold weather, you need to work safely when working outside in the cold. Make sure to prepare, dress accordingly and follow these tips to work safe. The weather brings various risks and hazards for those who are working outside. The weather can reduce productivity and may cause sickness such as frostbite and dehydration. It is important to follow these precautions to avoid getting sick or hurt. Personal Protective Equipment (PPE ) is not only for safety, but having the proper clothing and equipment helps to protect you from the harsh weather. It is necessary for those working in cold temperatures to wear warm clothing and proper equipment to work. 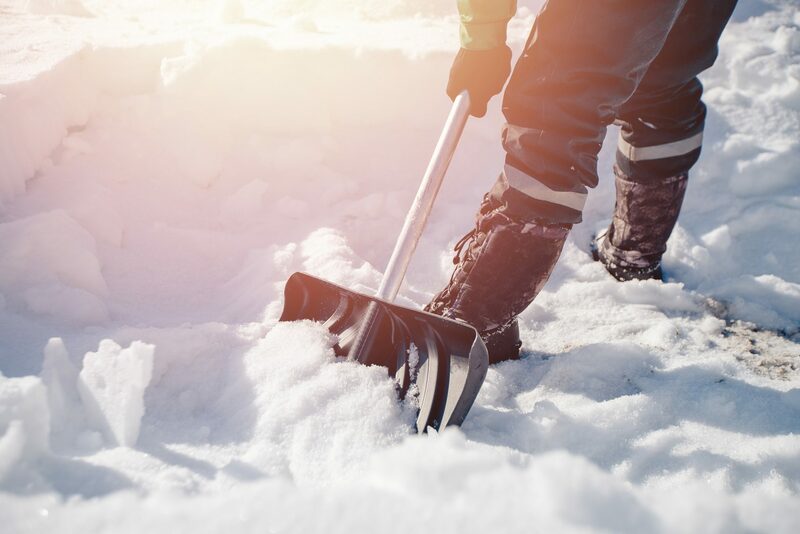 In winter, proper footwear, thick socks, face protection, gloves, and various layers of clothing helps protect workers from the cold. It is much better to wear many layers of clothing instead of just one thicker one. The inner layer will help insulate body heat and the outer layer helps to act as an extra layer and catches any water, snow or ice, which can then be removed. Also add a wind breaking layer on the outside to cut the amount of wind hitting your body. Choosing warm and appropriate pieces of PPE like gloves, not only keeps you warmer, but allows you to do your job easier and appropriately when they allow you to work with any tools you may require for the job. One thing you want to make sure you wear at all times when appropriate for the job is an outdoor toque since so much of our body heat is lost through our head. Another reason we recommend wearing multiple layers, is that if one layer gets wet, you can remove it. Any snow, ice or rain that gets on your clothing can make you feel so much colder if you keep those wet clothes on. We are prone to sweating whenever we do any physical work, even with the cold temperatures. The clothing we wear needs to able to absorb any sweat. Wet clothes will only bring down your body temperature quicker. It’s wise to wear polyester or polypropylene for your inner clothing material which will help your body stay dry and warmer. When you’re working outside in the cold, it is important to take appropriate breaks. If you stay out in the cold temperature for too long, you become prone to the inherent risks that come with the cold weather. These breaks will help warm you up and prevent your body from becoming numb or experiencing frostbite. It’s important to keep your body moving as much as you can, instead of sitting in one place for a long time. So even when you take a break, try moving around if you’re still outdoors as it will help your body stay warm for a longer period of time. When working in the cold weather, it’s important to eat regularly and stay hydrated. Eating nutritious foods will also give you the energy you will need to work in the cold weather. Drink sufficient water to stay hydrated. Avoid caffeinated or alcoholic drinks at work. Try hot soups and broths to help warm you up. Eat throughout the day to keep your energy up and help you stay warm. With temperatures dropping and the winds blowing, it is difficult to work outside in the cold. If you’re truly concerned for your wellbeing and the temperatures are at extreme lows, ask your supervisor if it’s appropriate to work outdoors. Also keep an eye on fellow workers to make sure they are dressed appropriately and working safely on the job. With these tips, it might be a bit easier to stay warm and work outdoors during the cold. nattsafety on What is a confined space? Sarah Smith on What is a confined space?